At Nancy’s, we take probiotics and health seriously because we know you do, too. With so much information in the marketplace, it’s important to sort facts about probiotics from any myths that may be floating around. Myth: All probiotics are the same. Different probiotics have different roles and benefits, from improving digestion to fighting nasty organisms to balancing your gut—where 70% of the body’s immune cells are located. It’s why Nancy’s delivers a broad range of probiotic strains that cover a broad range of overlapping benefits. 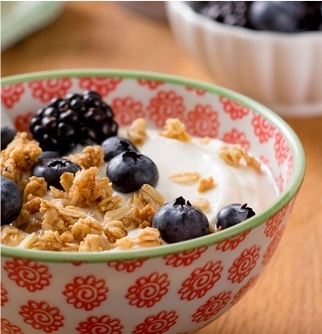 Myth: All yogurts contain the same amount and types of probiotics. Probiotic types and counts vary widely by yogurt brand. Check your labels, and you’ll see Nancy’s delivers not only high numbers of probiotics (Billions with a “B”) but also a wide range, with more than a dozen types of live probiotic cultures in every product we make. Myth: Yogurt cultures are the same as probiotic cultures. All yogurts contain cultures, but not all cultures are probiotics. 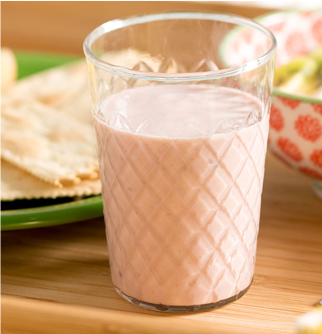 Nancy’s contains both yogurt cultures and probiotic cultures—and their roles differ. Probiotics are called “resident” bacteria since they implant in the lining of our gut and live on to help promote a wide range of health and wellness benefits. Yogurt cultures, meanwhile, are considered “transitory” since they leave the gut without sticking around. Their main job? Naturally thickening and flavoring Nancy’s Yogurt, since we never use gelatins, gums, or thickeners. Myth: Probiotic counts on labels are always accurate. It’s rare to find probiotic counts on food labels (you’ll find them on many Nancy’s products), and some products determine their probiotic counts on the date they were produced. That means, by the time you pick it up at the store, the actual probiotic counts could be far less than advertised. At Nancy’s, our probiotic counts are determined at the time of product expiration—that way, you can always be sure you’re getting the billions of live probiotics we’ve promised. Myth: Probiotics and antibiotics shouldn’t mix. Clinical studies have shown probiotics and antibiotics can be even more powerful together than they are alone—and we continue to learn more about the connection. One strain used in Nancy’s (L. rhamnosus LB3) has been shown to perform particularly well alongside widely prescribed antibiotics to stimulate the immune system and protect against disease-causing pathogens. And another Nancy’s strain (L. acidophilus LA-5) is especially powerful after antibiotic use, supporting re-colonization and re-balance of beneficial gut bacteria to give your body what it needs to support healing from the inside. Myth: Supplements always contain more probiotics than cultured food. Probiotic counts are as varied as the products you see in the store—and supplements aren’t necessarily superior. In fact, the probiotic counts in Nancy’s are so high, hospitals and doctors across the country turn to us as a healthy probiotic source for their patients. It’s also because of our careful approach to culturing, and the fact that our products are the perfect environment for probiotic cultures to multiply into optimal counts. Plus, fully cultured Nancy’s products deliver billions of live probiotics alongside calcium, magnesium, and protein for a nutritional powerhouse that only food provides.